IRB 1410 is a rigid and robust design. It has a handling capacity of 5kg in the wrist with a unique load of 18 kg additional in the upper arm for process equipment. Its compact design and very thin wrist offers high performance handling even in difficult and limited places, low noise levels, long intervals between routine maintenance and long service life. The ability to adjust the speed and the position of the process means that you will obtain optimum manufacturing precision with the minimum of faults; For floor mounting. Suitable for arc welding. Equipped with the IRC5 controller contains the welding functions through patented programming and the operating interface unit - FlexPendant. Controller: IRC5 Single cabinet, Compact. 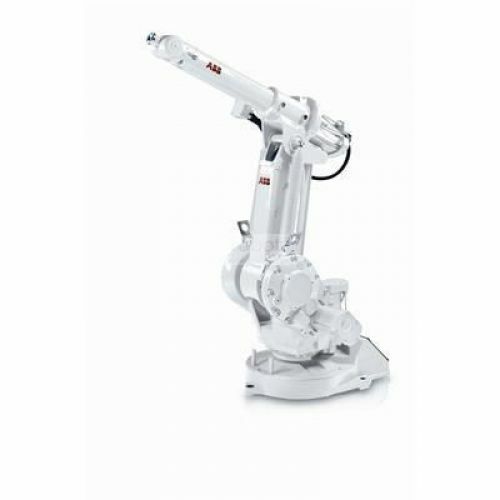 When the robot uses single phase power supply, like with Compact controller, the performance regarding max axis speed is reduced.